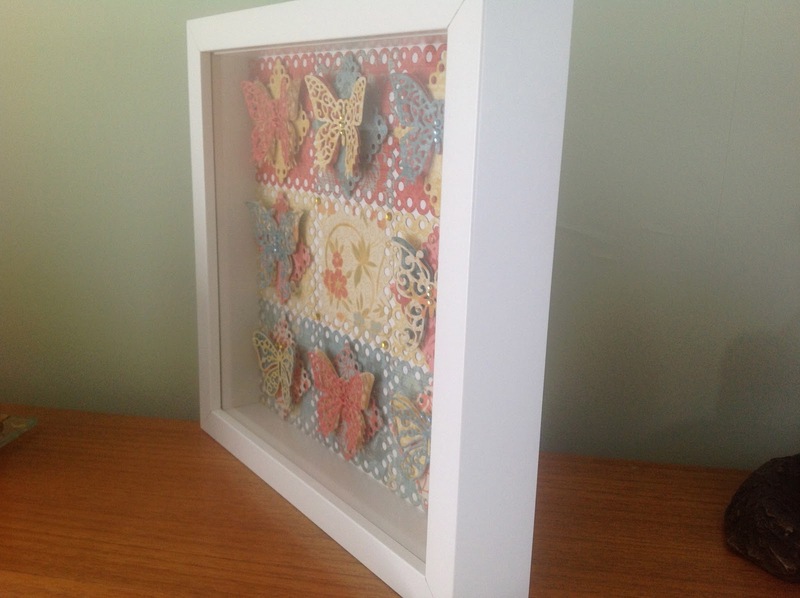 Some of you will have heard of Christine Emberson, who is a very talented crafter. Christine has a shop/studio here in Kent, and has also been on Create & Craft TV. I have been lucky enough to attend a few of her classes. The last class I attended was last month, Christine taught us to make a butterfly picture. The most difficult part of this was choosing the colours and deciding which colours I was going to put with what butterflies! 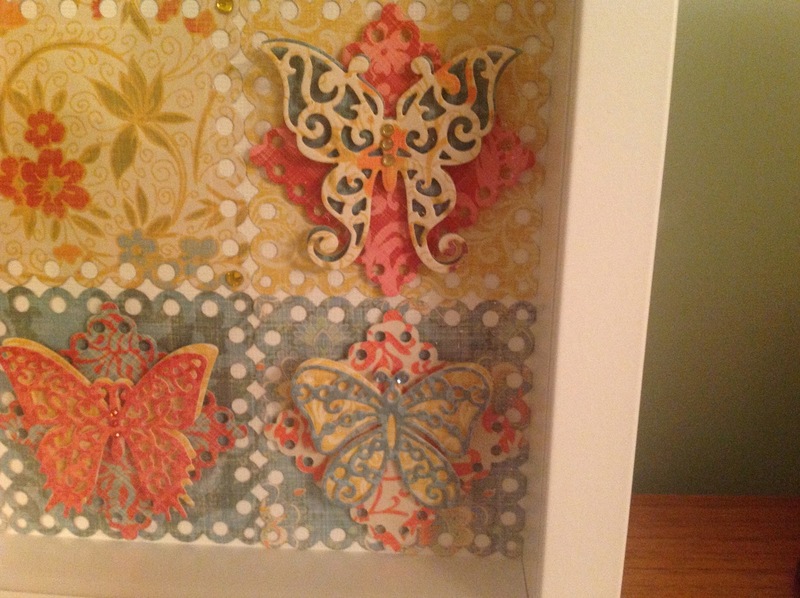 All the shapes (squares and butterflies) were cut using Spellbinders dies. 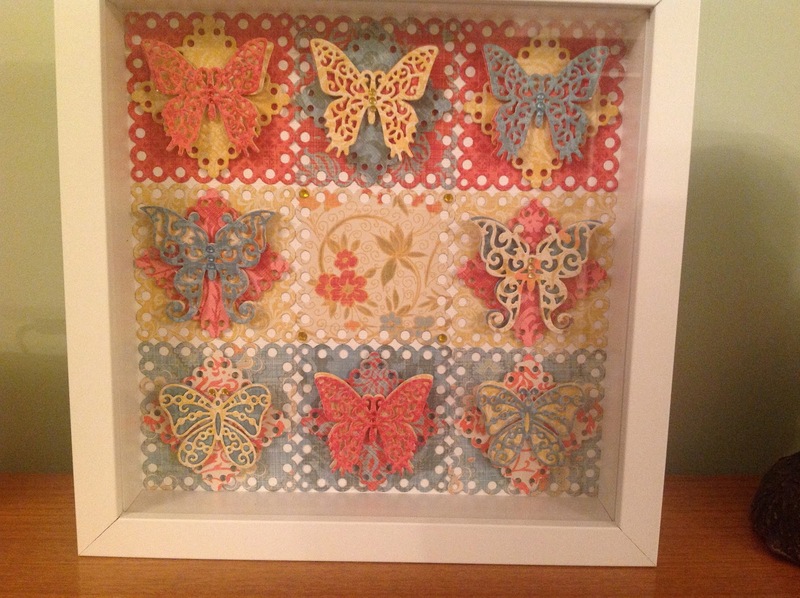 Close up of some of the butterflies, you will see I added a few little gems. 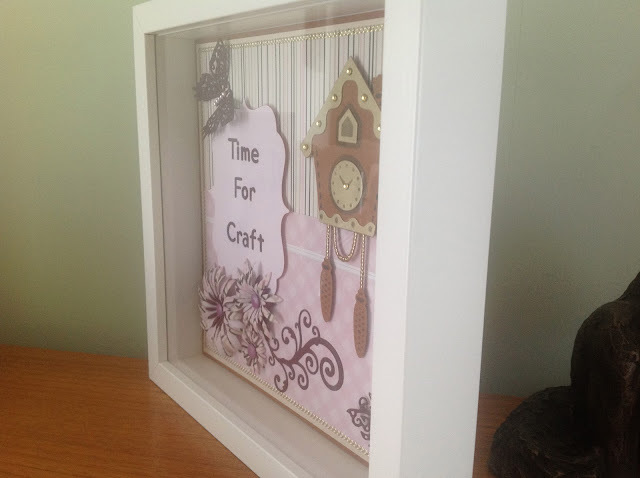 I have since made another picture in a frame for my craft room. The frame was bought in Ikea. 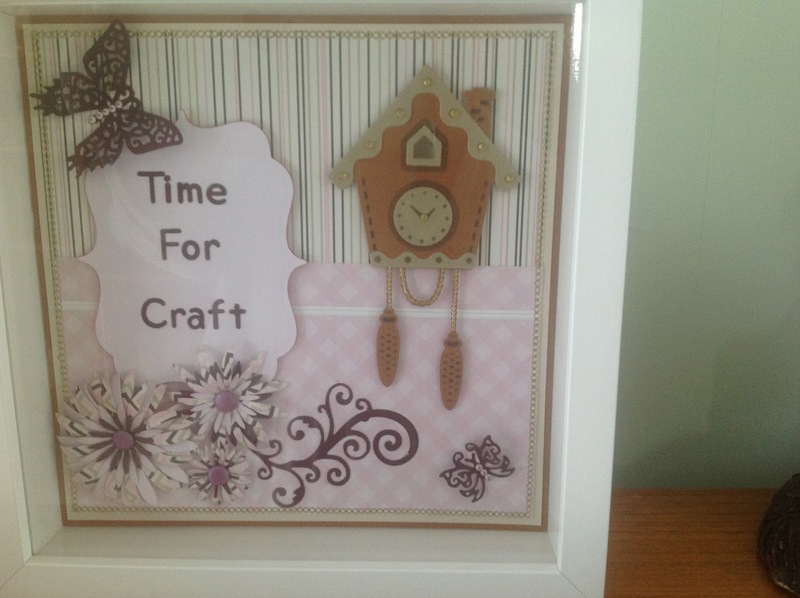 I had started this project, with my craft friends but once I had cut the clock out, I couldn't decided what to do. So I put it to one side, and came back to it when I had an idea. The letters for the words are from Cuttlebug Provo Craft - baby face. Hope you like it, let me know if you would have done something different!